Augmentation of FreeCharge itself is a remarkable story. It rested a firm platform for millions of people to believe in digital currency. This platform gave us too many purposes to use it as our transaction medium. Exciting cashback offers and other deals are the main charms of FreeCharge. Again it has introduced a blooming offer with cashback on fuel expenses. 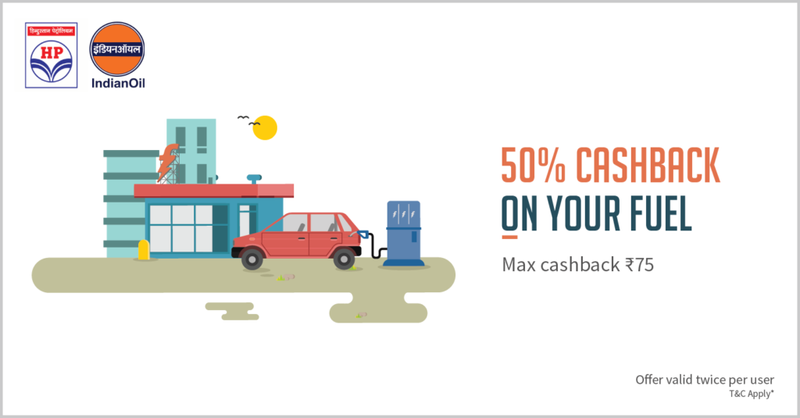 FreeCharge Offers 50 % cashback on fuel fill ups via certain gas outlets. Just complete the petrol bill payment through FreeCharge wallet. There are some conditions to obey under this offer and has been described below.Must grab this Freecharge Petrol Pump Offer. FreeCharge Offers a heavy cashback under this category and has given a very tough competition for rivalries. Here you can also enjoy other cashback offers related to mobile recharge, online shopping, food, travel, movies and much more. FreeCharge Offers are exclusively available on Freecharge App. Link to download this application is given below. FreeCharge Offers petrol bill cashback in specific major cities. FreeCharge Offers fuel cashback with the tie up of two major industries, Hindustan Petroleum and Indian Oil. So locate your nearby HP or Indian oil gas station which accepts FreeCharge Wallet money and fill up your vehicle with cash back rewards. Feel free to ask any question related to this post. Hurry up guys because this is really a healthy offer. 2. Login or signup with your unique identity. 3. Go to the FreeCharge Wallet section and add money as per demand. 4. Locate the near by HP or Indian Oil petrol pump which accepts the FreeCharge Wallet money. 5. Steps to locate the valid petrol pumps under this offer has been given below. 6. After completing a successful payment via FreeCharge Wallet, you will receive the cash back automatically with in 24 hours. 2. 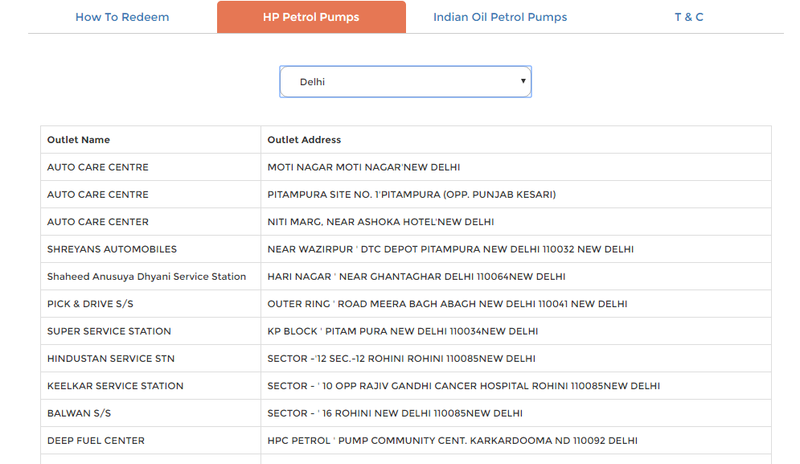 Now click on HP or Indian Oil petrol pumps as per the availability. 4. You will have all the valid outlet names and addresses under a drop down. 1. Add money to the wallet as per requirements. 2. Now hit the Pay Merchant button to initiate On The Go Pin. 3. Use OTG Pin and your mobile number to verify on EDC or Card swipe machine of the outlet. 1. Offer valid for limited time. 2. Offer valid on selected HP and Indian Oil petrol pumps. 3. Maximum cash back of Rs. 75 is available under 50 % cash back scheme. 4. Offer valid through FreeCharge Wallet. 5. A single user can use this offer only two times. 6. QR codes are not valid under this scheme. 7. Cash back bonus automatically adds up with in 24 hours of transaction. 8. Cash back rewards would be in the form of e-vouchers with the validity of six months from the date of issue.